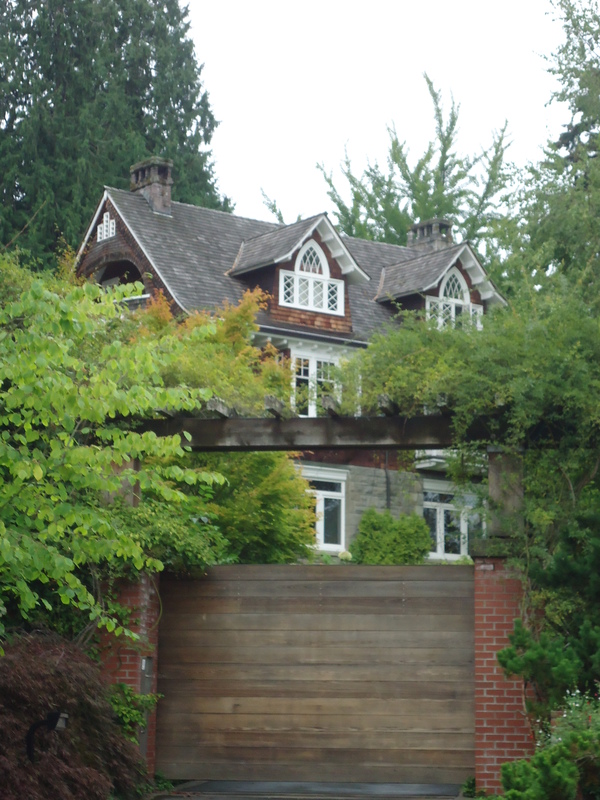 It had to be done, though I consider the house in Olympia to be a more celebratory and beautiful element of the Nirvana story, there’s still no way to observe a tale without acknowledging its ending. Nothing much more to add essentially. This is a beautiful upscale suburban neighbourhood, quiet roads at 9-10am in the morning on a Saturday, greenery and foliage dividing property from property and streets from streets or screening curves in the street. 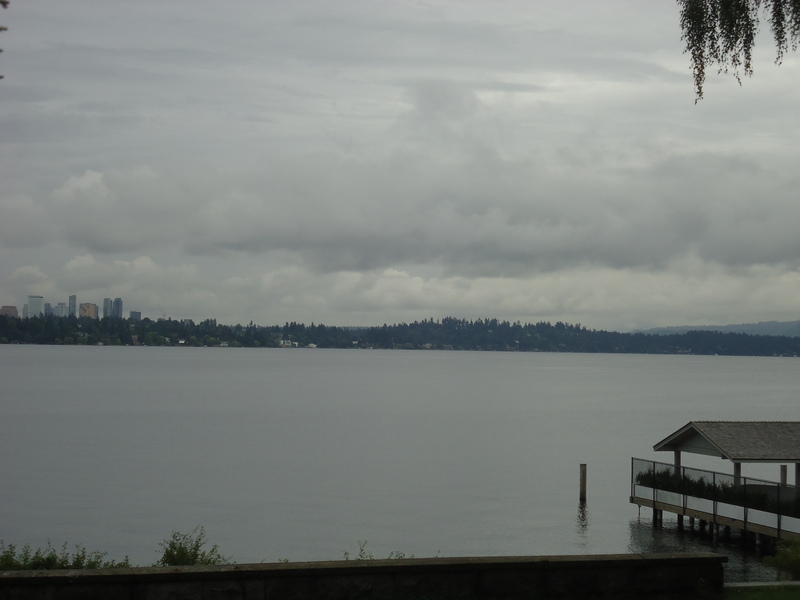 Twenty paces away there’s a parking area with a view out over the waters of Lake Washington, on a clear day you can see Mt. Rainier and its snow cap. There’s no number on the house, I can understand them removing it if it was ever there, it took a few passes to confirm the location was correct but essentially the water-side properties are even numbers, the opposite side of the road is all odd numbers. Its a beautiful looking home, not something I think I’d appreciated before given the standard context in which the house is viewed. On a good day I’m sure its stunning. Definitely millionaire territory, that was so clear that we were in the land of rich people; this isn’t a criticism, merely an observation and one I’m fairly sure Cobain would have been aware of and probably uncomfortable given he never gives off the sense of a man steeped in luxuries – this is the guy who sold off the Lexus Courtney Love purchased because he thought it was too ostentatious. The loneliness of the property compared to the urban territories of more central Seattle or even of the suburbs with the board houses with lawns, that did strike me. With the tree coverage up and down the street at night it’d be near impossible to see people outside the property; similarly, anything going on in the gardens or yard of the property is concealed by the gates and wouldn’t be visible anyways except to one, at most two properties situated opposite. A procession of taxis could arrive and leave without the neighbours ever noticing or having cause to give a hoot. On the other hand, the peace of the neighbourhood makes me realise how noise would travel and disturbances to the peace would register. I once stood on the spot in London where Guy Fawkes co-conspirators were hung, then cut down just as they were reaching their last breath, then resusitated sufficiently to be able to feel it as a red-hot blade opened them up from neck to navel in order to draw out their innards with the crucial point being to show each victim his own heart before he died at which point the body would be quartered and despatched to different regions of the Kingdom as a warning. It did enthrall me to tie a locale to a moment in time and of course I was interested. I’d say the same of this little visitation, to turn a place I’ve only ever seen in pictures into somewhere real and tangible, that makes a difference. Plucking somewhere from imaginary space and assigning it a reality feels a positive thing – if I didn’t believe that observing, exploring and where possible trying to contact the past made a difference to perception of life I wouldn’t have done history at uni. That isn’t the same as a place like this evoking a vast emotional force within me. What makes the most substantial difference to me is, and I hope will always be, the feelings and emotions in peoples’ faces and voices. 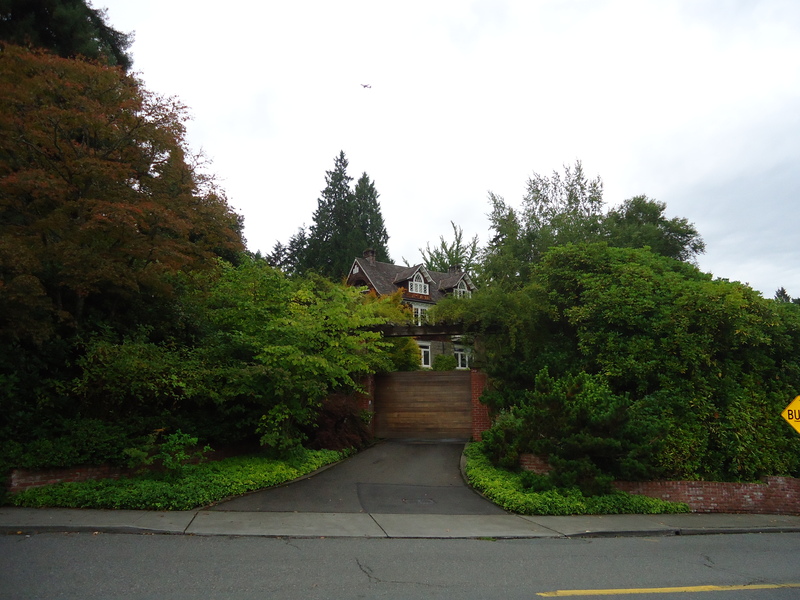 171 Lake Washington Boulevard is a pleasant looking house in which people are making their lives. I did my best to keep disturbance to a minimum and roamed onward. Tell me you visited the park on the side and viewed the property from the above street? The street above gives a great view of where the greenhouse was. We went 3 times to the park the back gate was open one evening last year I respected there privacy but did have a look but didn’t take a picture. I took 2 shots of the park and the sunlight on the tree near the bench resembled Kurts face I have the picture for proof is amazing.